Hi everyone! 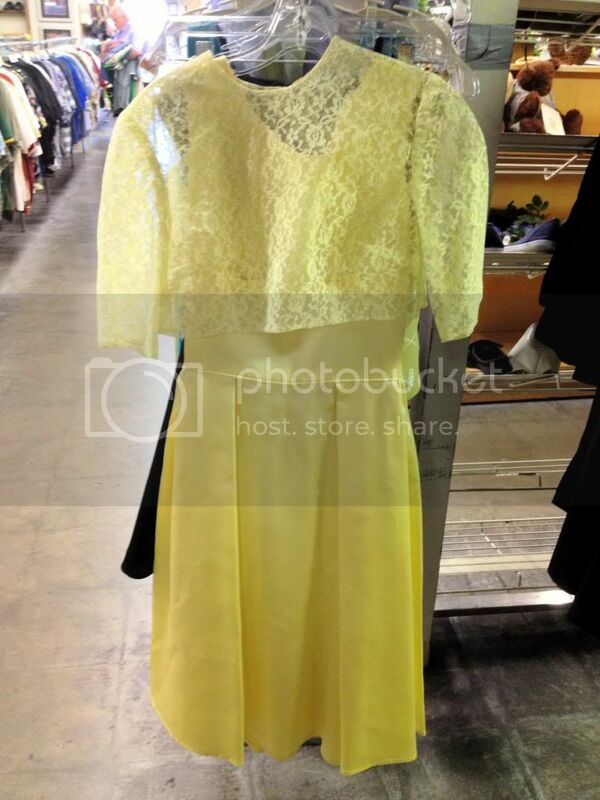 Once again I don’t have much to post for this week’s Thrifty Thursday. I’m still sewing up a storm and yesterday Phillip and I spent all day moving things out of our second antique space, so I decided to switch up this week’s Thrifty Thursday post with something a little bit different- a post about what I didn’t buy at the thrift store. 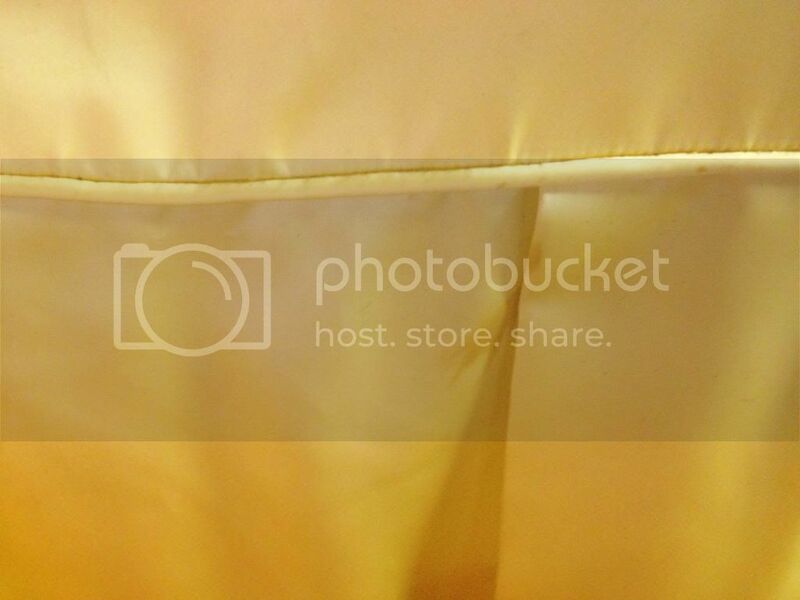 I borrowed the idea from fellow bloggers Van at Thrift Core and Sir Thrift a Lot. I think it’s fun to see what people didn’t end up buying and why! This mid-century side table is pretty cute and it was only $5, but I didn’t like the fake wood top and I wasn’t confident that anyone would buy it if it wasn’t real wood. At the store it stayed! 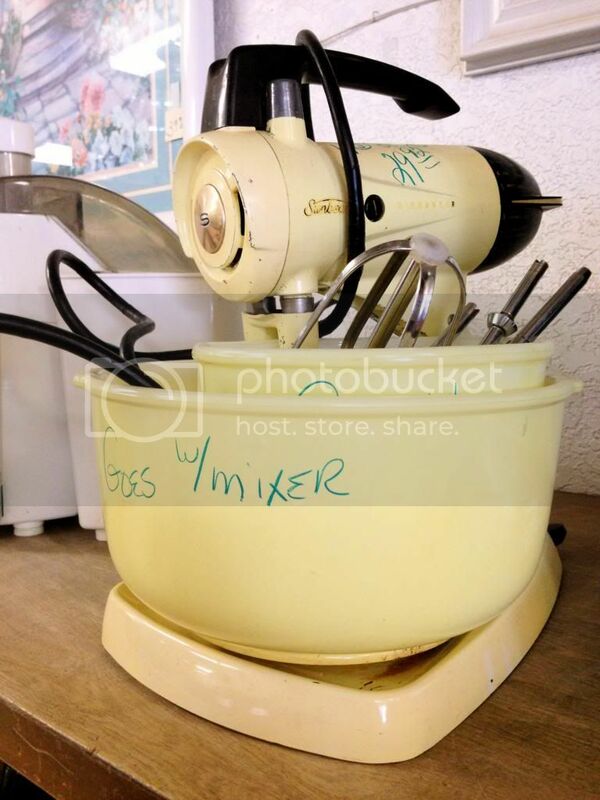 This vintage Sunbeam mixer was cool, but $29.99 cool? I think not. I think that’s pretty close to what we would be able to sell it for and I’m not sure how many people are even in the market for them. 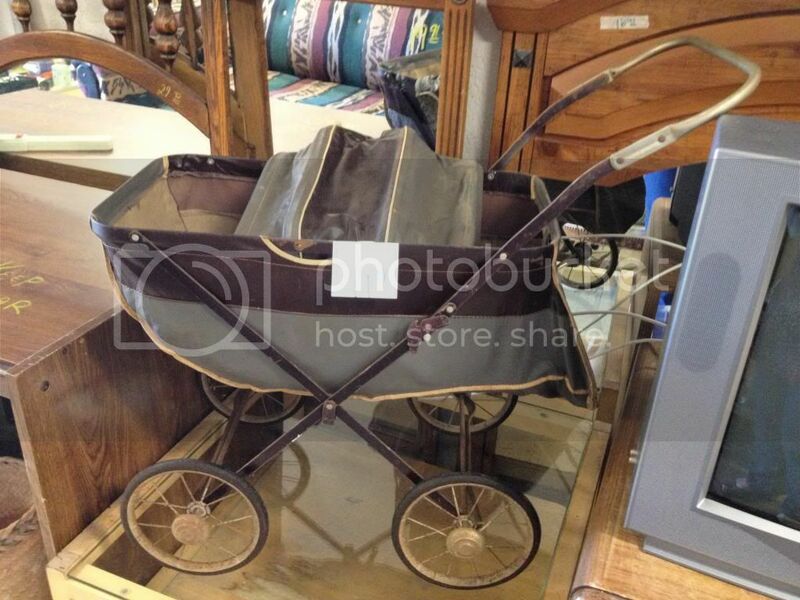 I thought this vintage pram was interesting- it’s not something I’ve seen often. But the price tag was a whopping $99.99 and besides that the top wasn’t attached. No-siree! Yuck! What is that anyway? Yikes! 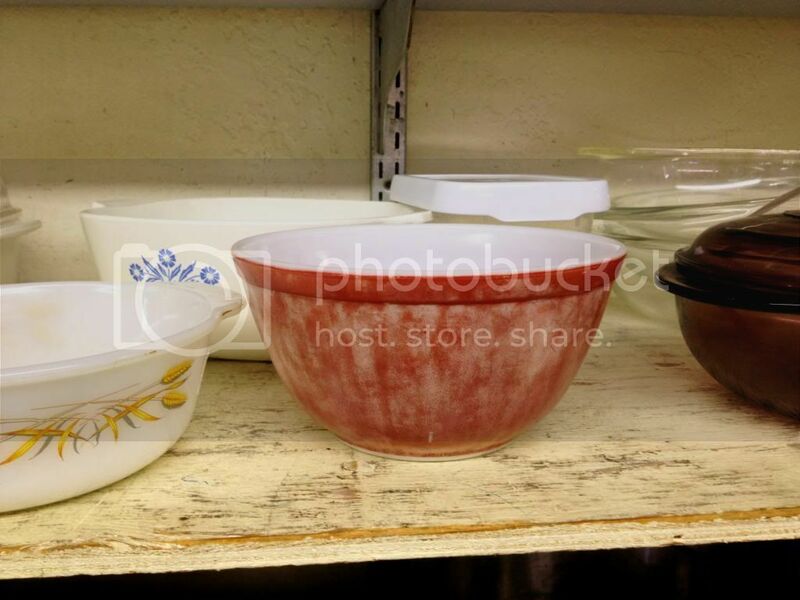 I wish that people wouldn’t ruin their Pyrex bowls in the dishwasher! Needless to say, this one stayed behind. 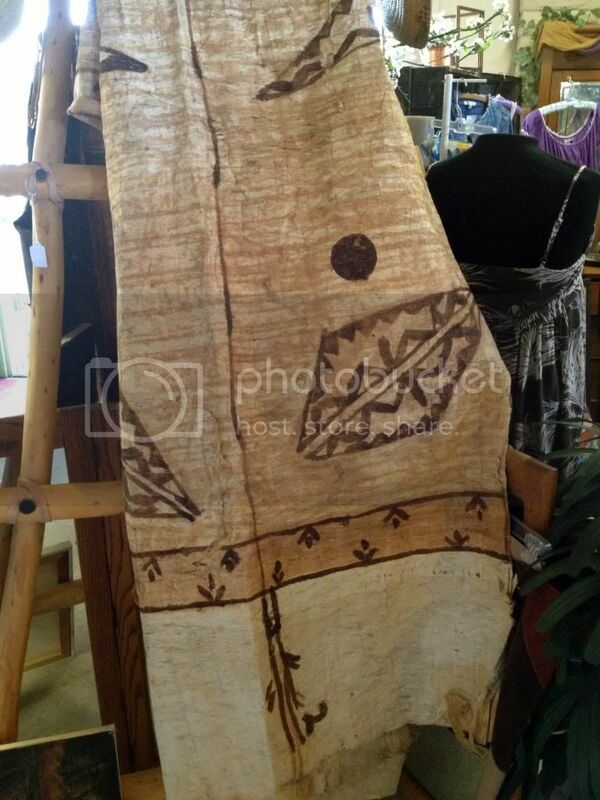 Last but not least, I found this tapa cloth at a thrift store in Solvang. They aren’t the most useful things outside of the south Pacific, but whenever I see them they always take me back to my Peace Corps days in Tonga. Anyway, this one was $80 for some reason! I don’t need the nostalgia that much! I hope you enjoyed this post! 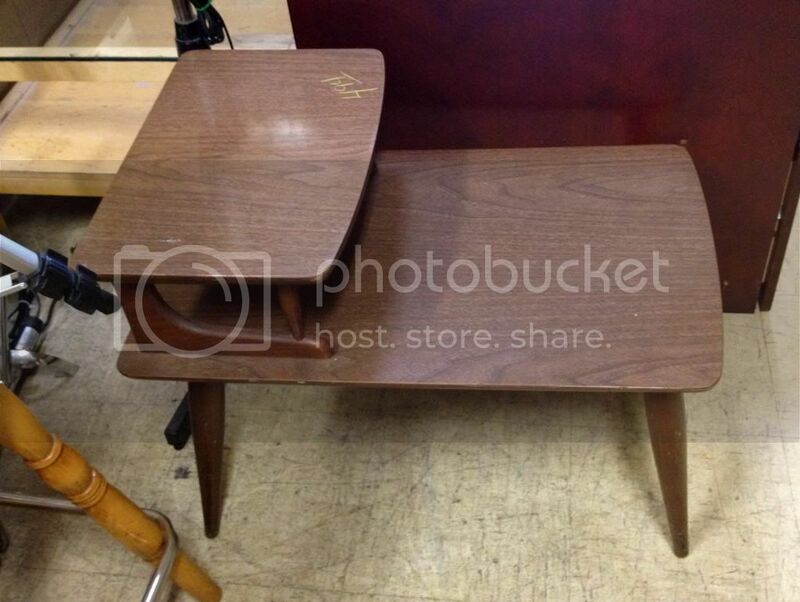 Did you find anything awesome at the thrift stores this week? ← Would You Like to Swap Ads for August?